Height adjustable from 30" to 36". Heavy Duty 13-gauge steel legs. America's Easiest to Assemble Benches. Various chemicals and scratch-resistant powder paint. Meet all local, state and federal specifications. This Workbench features the finest channel leg design available in the USA today. Height adjustment is made at the top of the leg for convenience. Our ESD workbench comes with wrist strap jack on each side, a 10' green grounding wire and aluminum sheet underneath the ESD top for maximum conductivity. LisStat™ ESD laminate available in White, Gray or Black. FOB Shipping Point. Available Frame Colors: Blue, Gray, and Black. To order an item in one of these colors, add the SKU to your shopping cart and indicate the desired color in the comments section. Call for volume pricing, other options and custom. See Related Items tab below for 1,600 Lb. 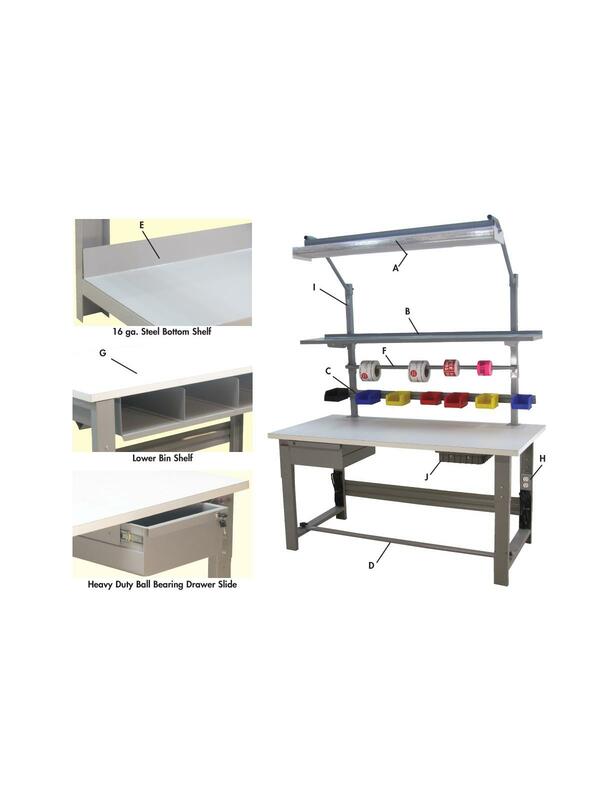 Capacity Roosevelt Series Workbenches - with Butcher Block Top, 1,600 Lb. 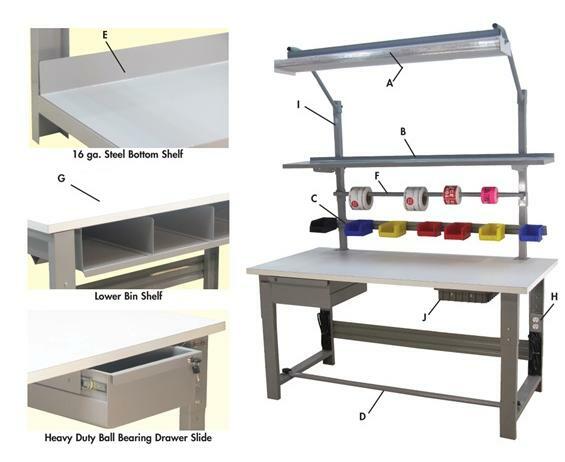 Capacity Roosevelt Series Workbenches - with Stainless Steel Top, 1,600 Lb. 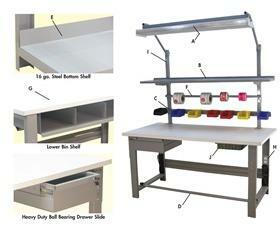 Capacity Roosevelt Series Workbenches - with Standard Laminate Top and 1,600 Lb. Capacity Roosevelt Series Workbench Options.